Our machine learning powered solution delivers real-time benchmarking, automation of the time consuming compensation process, and a tool-kit to ensure compliance with new pay equity legislation. Access the richest and most proprietary data set in the industry to help you make optimal decisions. Set pay right, and the talent you hire will be motivated and committed to making your company great. Ensure compensation decisions are defensible and fair, saving time, money, and also headaches. Model, plan, and communicate compensation policies while building a culture of transparency and trust. Automate time consuming compensation processes and boost efficiency with automatic data analysis, and reporting. 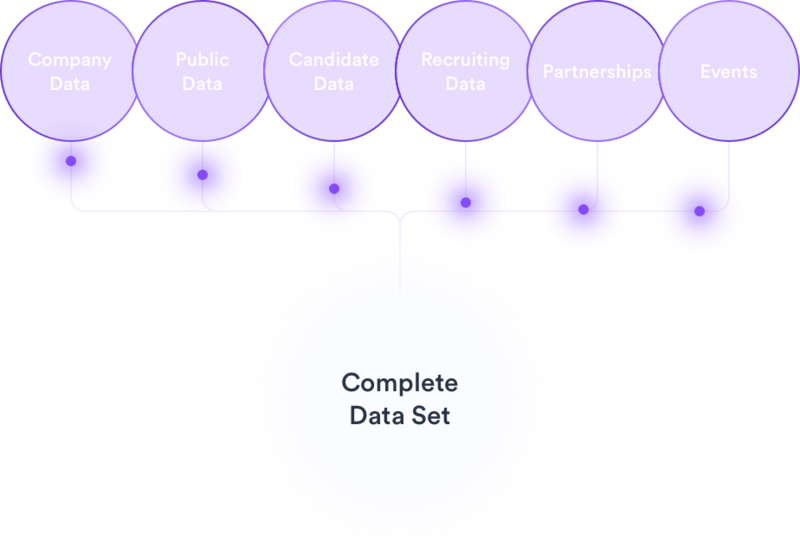 Using data science and machine learning, CompIQ empowers your business with a toolkit that transforms the manual and unscientific compensation process into a strategic advantage resulting in administrative efficiency, retention of star employees and a defensible approach to compensation decisions. 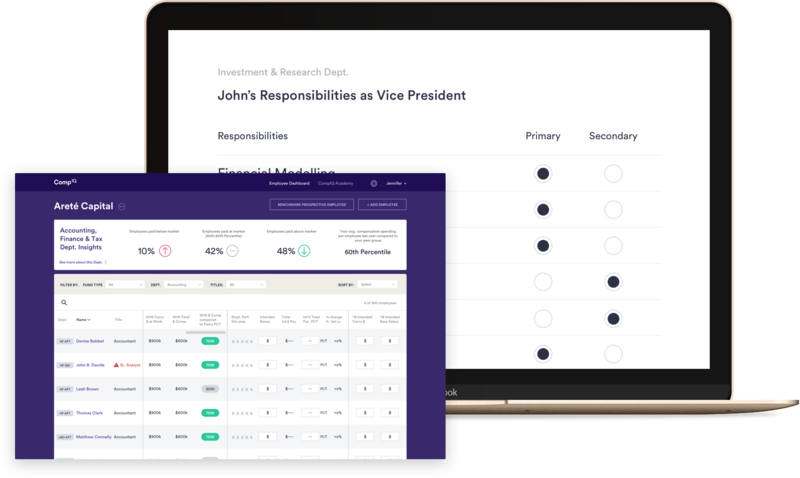 Create dynamic personalized peer groupings at firm and department levels to benchmark against firms that an individual could go to. Calibrate compensation recommendations on an employee level in real-time taking into account all firm, market, and employee factors. Align job descriptions, map job families, and functional titles to a standardized approach while taking into account specific employee responsibilities. Create reports, cut and re-cut data by employee, title, department, fund-type advised, or by employee and analyze scenarios to get organizational metrics. Keep track of all employees in a centralized system and quickly identify employees that are underpaid or overpaid in real time. CompIQ has the richest and most proprietary data set in the industry which combined with our data science and machine intelligence analytics produces reliable and precise compensation recommendations and benchmarking. Top firms in the investment management industry trust CompIQ for accurate and defensible compensation decisions. This comp season, I’m going spend 100+ hours assembling a spreadsheet of all of our employees, their comp history, and then I have to manually look through reports and surveys to benchmark compensation...I’m absolutely dreading it. CompIQ simplifies and automates this process. CompIQ transformed my slow and discouraging compensation process into a strategic advantage by giving me all the data I needed in an intuitive interface. I strongly recommend to anyone in the financial industry! Ready to get started with CompIQ? Start personalizing your compensation and begin attracting, motivating and retaining talent.